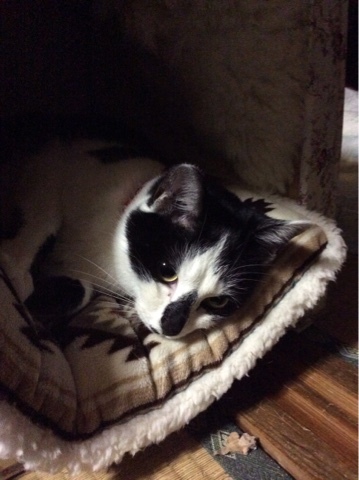 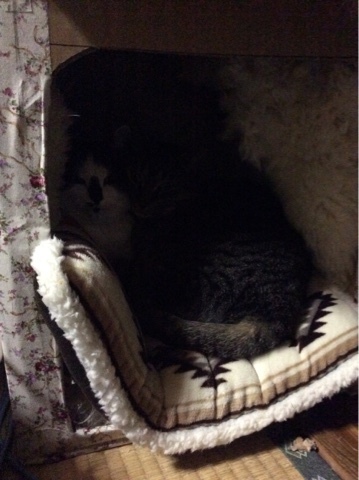 It has been cold recently, so my cats are staying inside KOTATSU or cats' house which my dad made for. 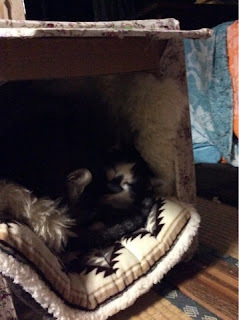 At the beginning, they seem they don't care about the house, but since I turn the house to the stove, they finally thought it might be comfortable. So now, sometime Usshi alone stays here and the other time Dora comes together and sleep tight.